Keychain Instagram. Keychain I like. Keychain heart. Keychain icon. Symbol Instagram. Keychain anniversary. Keychain valentine's day. 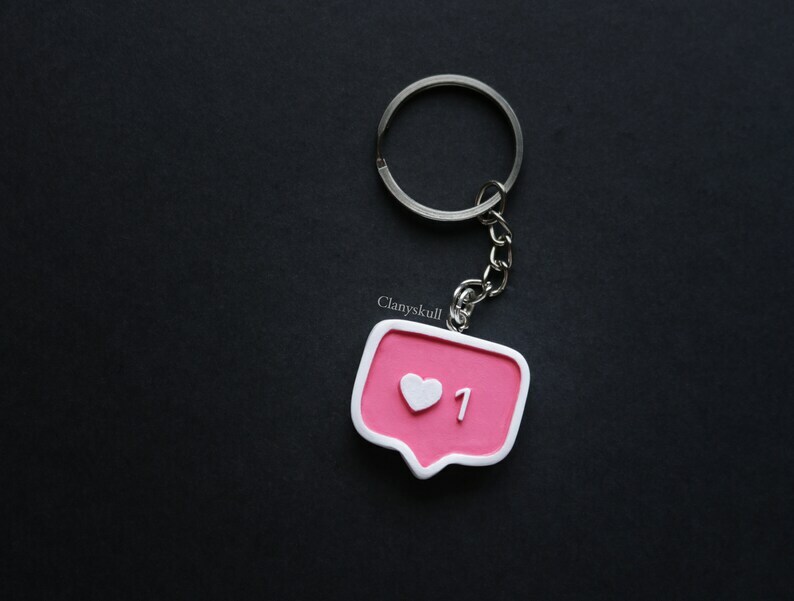 Keychain I like, Symbol of Instagram. Ideal to give on Valentine's Day or anniversary. Handmade in resin, painted with acrylics and with a layer of matt varnish. It measures 3 cm high by 3.30 cm wide approximately. - Provincial: 2 business days. - National: Delivery, throughout the national territory, of 93% of shipments in 3 business days. - Europe: 5-15 business days. - Other destinations: 15-30 business days. * INFORMATION TO TAKE INTO ACCOUNT. · If possible, please, on the orders, please include the telephone number with the address information to be able to provide it at the post office. This is in case there is any problem with the package so they can be located. · Since it is a handmade product, please allow small variations between the products of the photos and the product you will receive. Also, because it is handmade, it should be treated with care. Thank you. * SHIPMENTS, REIMBURSEMENTS & OTHERS. Instagram brooch. I like brooch. Heart brooch. Icon brooch. Instagram symbol. Anniversary brooch. Valentine's Day brooch. Mickey Mouse keychain. Mickey Mouse. Mickey keychain. Mickey Mouse hands. Disney keychain. Disney. Valentine's Day keychain. Anniversary. 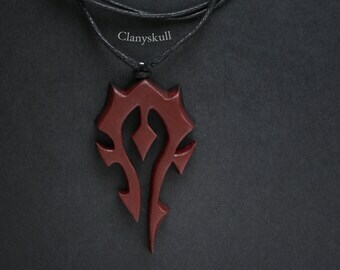 Horde necklace. Horde pendant. World of warcraft. WoW. World of warcraft necklace. Horde. Horde symbol. Geek gift. Shell necklace. Ursula shell. Disney necklace. Ursula. The little mermaid. Little mermaid necklace. 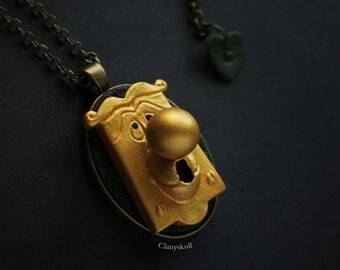 Disney pendant. Disney jewelry. Shell. Beauty and the Beast necklace. Disney. The beauty and the Beast. Rose necklace. Window the Beauty and the Beast necklace. Enchanted rose. Aku Aku mask necklace. Aku Aku. Crash Bandicoot necklace. Crash Bandicoot. Mask. Aku Aku mask brooch. Aku Aku brooch. Fan art Aku Aku. Human heart amigurumi. Gothic. Human heart. Anatomy. Heart amigurumi. Heart. Gothic amigurumi. Anatomy amigurumi. Tim Burton necklace. I love Tim Burton necklace. Tim Burton. Heart. Heart necklace. Gift. Gothic. Halloween. Halloween necklace. Idénticos a la foto, llegaron super rápido. Además son más grandes de lo habitual. Oogie Boogie dices. Nightmare before christmas decor. Nightmare before christmas. Oogie Boogie. Tim Burton decor. Dices. Gothic. Halloween. Another perfect piece. Highest quality. Must have! Absolutely love these dice! The craftsmanship is amazing!!!! At this time I do not accept personalized orders. The articles in polymer clay must be treated with care, they are resistant objects, but at the same time delicate since they can contain small elements. Please, avoid wetting the pieces. If for any reason the item arrives broken, please send me a detailed photo of the damage and I will refund 70% of the price of the item. The photo must be sent during the first days after the arrival of the article, if not, I consider that it has been broken once it was already in its possession. * Please read the section of article loss. What happens if an article is lost? For an article to be considered lost it has to happen at least 45 days after its sending, from that moment I will contact the post office to claim the package and obtain information to be able to resolve the situation. Once the response is received, then if the package is considered lost, a 70% refund will be returned to the item. Clanyskull does everything possible to prepare the package safely so that it does not suffer any damage during the trip to its destination. Killer toy duck necklace. Nightmare before christmas necklace. Duck necklace. Nightmare before christmas. Halloween. Tim Burton pendant. Cardcaptor Sakura amigurumi. 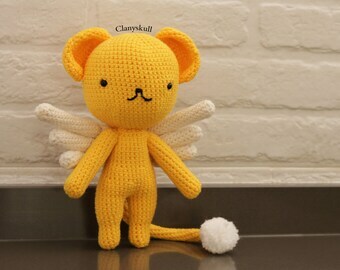 Kero amigurumi. Kerobero amigurumi. Cardcaptor Sakura. Kerobero. Kero-chan amigurumi. Kero-chan. Door knob necklace. Alice in wonderland necklace. Disney necklace. Disney. Door knob. Alice in wonderland. Cameo. Disney cameo. Elephant necklace. 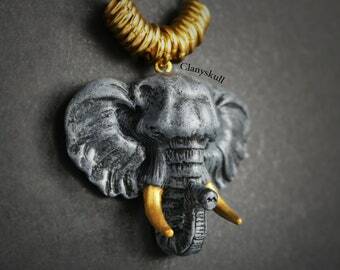 Elephant pendant. Elephant. Animal necklace. Bohemian necklace. Hippy necklace. Bohemian. 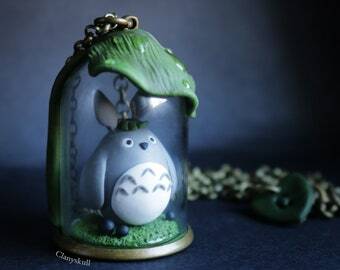 Totoro necklace. Studios Ghibli necklace. Totoro. Studios Ghibli. Dome necklace. My neightbor Totoro. Kawaii. Anime. Mask brooch. Courage the cowardly dog brooch. Courage the cowardly dog. Mask. Justo. Courage the cowardly dog mask. Nightmare before christmas. Nightmare before christmas necklace. Lock Shock and Barrel mask. Lock shock and Barrel necklace. Tim Burton.